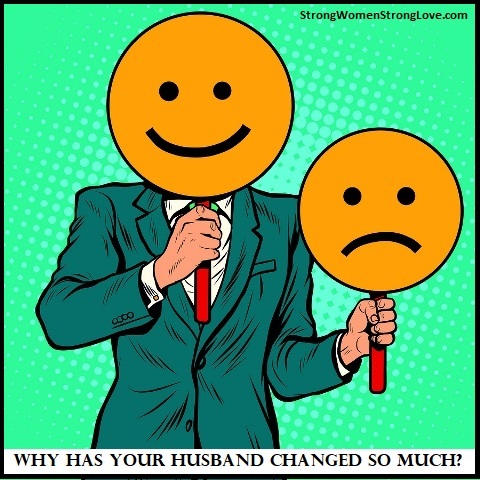 Why Has Your Husband Changed So Much? Does your husband ever seem like he’s become a totally different guy? It might sound like I’m about to launch into a creepy “Jekyll and Hyde” story for Halloween. But I actually want to talk to you today about the real-life power of stress and how it affects your marriage in ways you may not be aware of. This article is for you if you’ve ever wondered “What happened to the great guy I fell in love with?” The answer is probably not what you think. Before we dive in, though, let’s clarify the intention of this article. My advice here is not for you if you’re in a situation involving dire issues like abuse or addiction. If you ever find yourself saying things like “My husband is a great guy, except when he loses his temper” or “He has a totally different personality when he’s using,” then please consider seeking professional help. 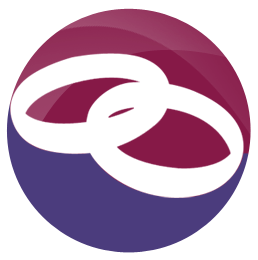 First, let’s think back to when you and your husband first became romantically involved. You were totally new to each other, which really lit up your brains. He was paying lots of attention to you, and you to him. So you both felt seen and appreciated. If neither of you had children from previous relationships or other family obligations (like an aging parent), the beginning of your relationship may have also been a more carefree and less stressful time in your life. Fast-forward to today. You probably have many more demands on your time due to your family and your careers. That makes you feel more stressed, which in turn makes it much more difficult to emotionally connect. You’ve quit looking deeply into each other’s eyes because you’re too busy looking deeply into your phones. All of those qualities that seemed so intriguing about him at first are now old hat. Instead, you notice more of his faults — his abrupt tone, lack of helpfulness, emotional distance — and they’re driving you crazy! So what’s going on here? Has he really turned into a terrible person? You’ll be relieved to know that this is highly unlikely. When you’re overwhelmed with stress, you get worse at noticing the good things about your husband. At the same time, you become super-attuned to anything negative about him. If he’s super stressed, he’s doing the same thing too! This is just how our brains are wired. Our ability to react swiftly to threats helped us survive as a species. But it’s not so handy in a modern marriage between two stressed people. One partner’s mistakes or slights can feel threatening to the other one. If you feel quick to anger or criticize, part of you is just trying to protect yourself. Just knowing that your stressed-out brain might be playing tricks on you can start defusing tensions with your husband. Here are a couple of other things than can help as well. Identify the sources of your individual stress. Are you sleep deprived, eating junk foods, or just plain lonely? Do what you can to bring your own stress down by making small changes like getting an extra hour of sleep or making sure you’re spending some time connecting with each other during the week. Sneak in the little things that keep love strong, like asking about each other’s days and marking special occasions. It may not seem like much, but can make a big difference over time. It’s hard to start treating each other more lovingly if you don’t address the underlying stress that’s causing you to be critical and defensive.Take a hard look at your priorities as a family and seek ways to ease the pressure on you both. Do you need to reduce the kids’ activities so that you all have more time together? Can you rethink your budget so that you can work less or pursue jobs that aren’t as demanding. Try these strategies and you’ll start seeing more of the man you fell in love with and less of that irritating guy who never does anything right. If the tips in this article are useful for you, can find many more like them in my book Strong Women, Strong Love.